The Robland D-510 benefits from 2 majour advantages: a very good price-quality ratio and being made by Robland. 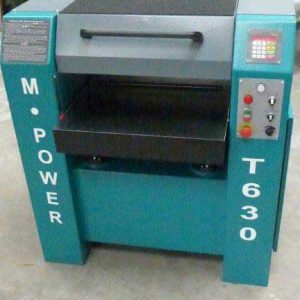 Robland, well known constructor of woodworking machines has become, in a short time, very popular amongst both professional and craftsmen woodworkers which require a strong, well built and precise machine, to last and stand the test of time. 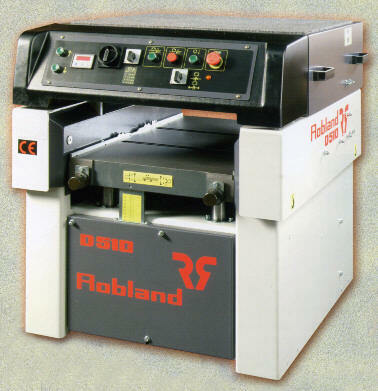 The Robland D-510 is just such a machine, benefiting from 2 major advantages: a very good price-quality ratio and being made by Robland. The big cast iron table is precision planed for smooth sliding of the wood. Highest quality ‘cold process machining’ is used, which produces no stress, ensuring the table surface stays absolutely flat throughout its life. The frame is built of 6mm steel plate, and is carefully designed to maximise strength and rigidity, it’s made in a so called ‘box frame’ thus resulting in an extremely sturdy and torsion resistant base. 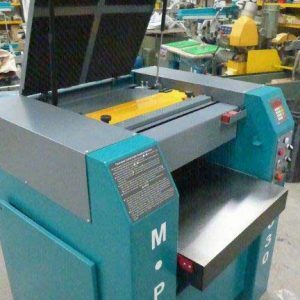 Standard on all machines : heavy pushers on both in and outfeed side, 100mm diameter, 4 knife 18% HSS cutter-block with magnetic knife setter jigs. The optional 4 turn blades cutter-block provides a major advantage of quick precision setting of knives. Standard equipment on the machine : separate motor drive of feed rollers with 4 speeds (5/8/10/16 m/min.). Positioning the table at 1/10mm poses no problem thanks to the frequency variator controlled rise and fall drive. 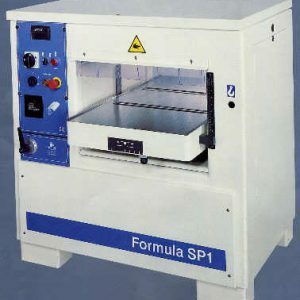 The machine is equipped in the standard version with a 5.5kW (7.5hp) motor. Optional motor of 7.5kW (10 hp) can be provided. Standard tension of the machine is 400 Volt, upon request the machine can be made in 230 Volt threephase. The transmission of the cutter block is achieved by double V-belts, the transmission of the feed rollers is achieved by sprockets and chains. Standard equipment on the D-510: power rise and fall of the table, digital read-out with precision 1/10mm, capacity 250mm! Mounted via 4 big columns, the table offers great stability even when machining long, heavy timbers. For wet or damp timber, fully retractable, adjustable rollers (2) can be provided. This option gives you the advantage when productivity comes before the finish of the wood. Once again Robland scores a hit with both professional and industrial woodworkers. 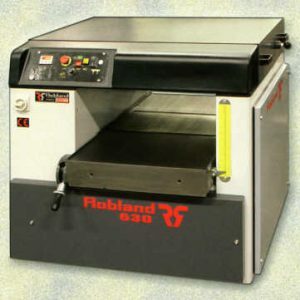 The name Robland stands for advantage in quality and reliability and the D-630 thicknesser benefits from both advantages.